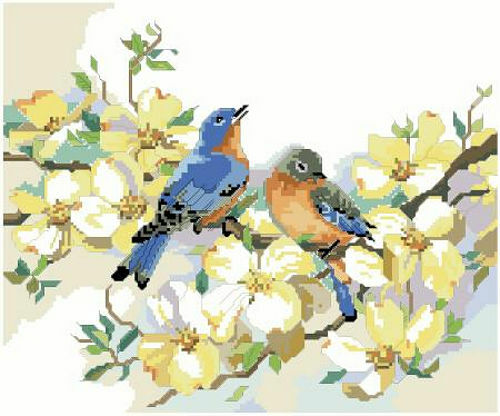 Romantic and classic, this charming design of a bluebird couple resting upon a dogwood branch in full bloom is a composition in elegance. Designer Nancy Rossi captures for all eternity the delicate balance of nature in bloom and the fleeting beauty of spring. Contents: Stitch Count is 169w X 140h Finished size on 14ct. 12" x 10"